Former Gov. Martin O’Malley and his wife Katie, a district court judge, have accumulated an astounding $339,000 in college debt for their two daughters for a couple that has been making over $300,000 a year with minimal household expenses. That debt figure leaped out of coverage of O’Malley’s presidential campaign and his proposal for debt-free higher education for those who go to in-state public four year colleges and universities. Besides the huge number itself — the cost of a family home in many parts of Maryland — it is astonishing that this family took on so much high interest debt (6-8%) , despite their high income, and that O’Malley’s campaign proposal would have had no impact whatsoever on the cost of their daughters’ education. Until O’Malley left office, their household expenses have been fairly minimal. They sold their house in Baltimore in 2007, gaining whatever equity they had accumulated before the housing bubble burst. The governor’s office comes with a mansion, a staff, chefs, a $100,000 allowance for ceremonial purposes, and at least two big SUVs with state police drivers. Despite the fact that O’Malley often touted and still boasts that Maryland has the No. 1 public schools in the nation, all his children went to Catholic private schools, as he and his wife did. At some points, before college, the tuition at these Towson schools could have amounted to $60,000 to $70,000 year. But still one wonders what the O’Malleys were spending their income on. There was little need to be socking away a lot of money for retirement, for instance. In three years, at age 55, in addition to his city pension — now $65,000 a year, the Washington Post reports –, O’Malley can start collecting a state pension of $90,000 or more for the rest of his life — half the salary of the sitting governor whose salary goes to $180,000 in 2018. (The retirement age for future governors was raised to 62 last year.) In eight years, at age 60, if Katie remains a judge for at least two more years, she can begin collecting a pension of at least $93,000, two-thirds the salary of a sitting judge. Instead Grace O’Malley, 24, now a public school teacher in Baltimore, went to Georgetown University, now $67,000 a year, and her sister Tara went to the College of Charleston, a well-regarded South Carolina public college that costs $44,000 this year for out-of-state students. Singletary is critical of O’Malley’s caving in to his daughters, but indulgent fathers are commonplace if not the best for family finances. And maybe Georgetown and Charleston were ideal for them to go. Apparently, Singletary did not ask why the O’Malleys were not taking advantage of any of the state-sponsored college savings programs. Were they saving for the planning and execution of a presidential campaign, or is being governor a lot more expensive than it looks? To his credit, O’Malley’s proposal emphasizes holding down costs and tuition at public universities, while increasing state aid, which most states cut in the recession, though not O’Malley. But his plan makes absolutely no mention at all of the best bang for the buck in higher education — community colleges. Some of the better community colleges in Maryland have automatic transfer agreements with good and even elite universities. Their basic undergraduate courses are often taught by experienced professors in small classes and are as good as many at a four-year college and university. It makes sense to reduce the cost of college and college debt by shaking colleges and universities out of their traditional modes into becoming more cost effective instruments for the 21st century. Funneling tuition dollars into overpriced but prestigious universities is not effective public policy, nor is going into massive personal debt to do the same. 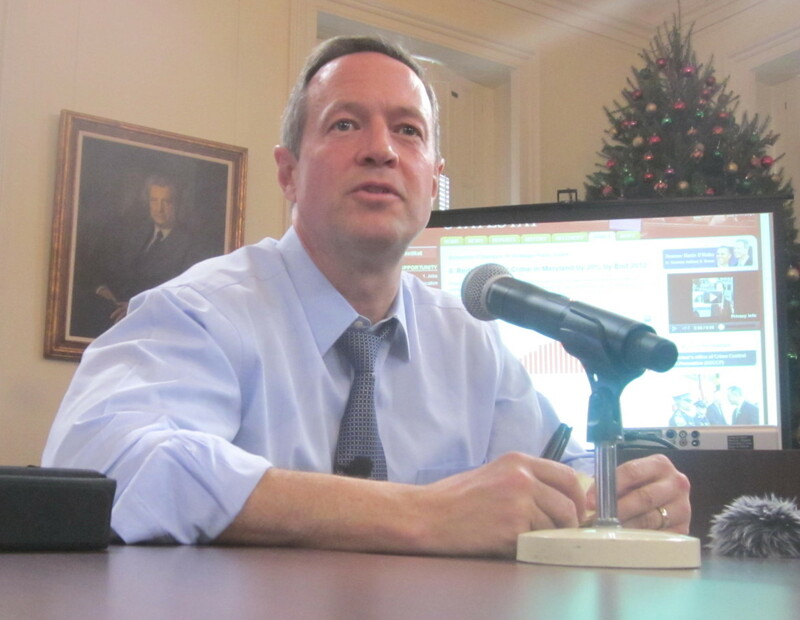 UPDATE 7/17: John Wagner of the Washington Post has more detail on O’Malley finances. Below is a gallery of 19 photos from Gov. Larry Hogan’s second inauguration, most of them posted on the governor’s Facebook page and taken by the photographers of the Governor’s Press Office. Click on the arrow at right to move ahead.